What's going on with all those DOCTOR WHO missing episodes? | Warped Factor - Words in the Key of Geek. What's going on with all those DOCTOR WHO missing episodes? All week long we have been taking a look at some of the missing Doctor Who episodes, plus looking at that 'omnirumour'. Have a whole load of missing episodes been discovered and are they sat with the BBC just waiting to make their way on to DVD? Patrick Troughton's debut story - The Power Of The Daleks - missing, presumed wiped???? 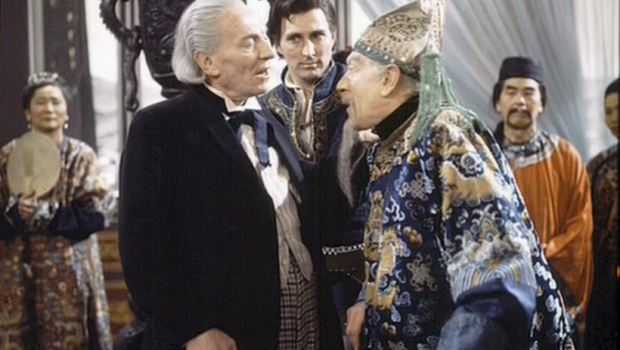 A couple of months back we ran a story about the Doctor Who omnirumour and the suspected Easter announcement of the iTunes/DVD release of (at least) Marco Polo. Clearly Easter has come and gone and unless I was passed out from excessive chocolate egg consumption (quite possible) no missing episodes of Doctor Who were released by the BBC. So does this mean that the omnirumour is a load of old tosh? Not at all, and I now believe more than ever that almost all the 97 missing episodes have been found. Read on, and I shall explain why. After that last story I was contacted outside of Warped Factor by several people and started some interesting lines of conversation. Us Doctor Who fans can be quite a passionate bunch, but you can tend to tell a 'crazy' from a 'passionate' - basically a lot of what was spoken about rings true, especially when coming from various different unconnected sources and people that I personally respect. For what it's worth, and clearly I have no physical proof, I truly believe that Philip Morris and the Television International Enterprises Archive (T.I.E.A.) did indeed discover an enormous batch of missing television episodes in Africa, and several other locations, and amongst them was every missing episode of Doctor Who apart from one, which would most likely be The Feast Of Steven as it was never sold abroad. Last October, alongside The Enemy Of The World and The Web Of Fear, Marco Polo should've been released, but legal reasons have prevented it making it's way into public hands so far. I'm told that the missing episodes are not being restored by the usual Restoration Team, largely because the condition of them are far from great and the new team working on them has superior technology at their disposal. As well as the stories mentioned, this team have been/are currently working on Power of the Daleks, The Massacre, The Smugglers and The Macra Terror. So why can't we get our hands on them? Because legal mumbo jumbo and expensive financial shenanigans are currently holding up any release or announcement. The BBC does not fund the T.I.E.A., they didn't approve the missing episode hunt - but it's safe to say that they will be more than happy to 'take' anything that is found. This is where it gets tricky, who actually own these stories? The BBC sold them abroad, they've never claimed them back in all this time (because obviously they didn't know they were there) so their original rights to the physical copies are probably well expired. Is the film now the property of the T.I.E.A.? If they sell them do they have to compensate any previous 'owners' of the materials? It's an all round legal nightmare! T.I.E.A understands the passion felt by Doctor Who fans and that looking for missing episodes of Doctor who plus many other shows is an important but tiny part of the work that T.I.E.A does.The main aim of this organisation is to assist those archives whose own cultural heritage is under threat.If any programmes do still exist T.I.E.A will endeavor to recover them safely as with web of fear and enemy of the world.T.I.E.A are not sponsored by any organisation we are a completely independent body we work alongside many organisations such as the B.F.I . However as much as people want specific programmes found wishing them into existence or starting rumors will not magically return them .Individuals trying to extract information which does not exist or is commercially confidential will be deleted unread any legitimate inquires for T.I.E.A LTD services are welcome. Those last couple of lines are particularly interesting, "commercially confidential" being the key words right now. Financial, and legal, negotiations have to take place between not just the two parties but many others, so the BBC can claim (buy) back their own productions and make them available for release. It seems quite crazy, but Philip Morris is a businessman who has spent considerable time tracking down these stories, he's naturally going to want to be compensated for what he finds, that is only fair. The Web Of Fear was the best selling classic DVD of all time, my hunch is that Mr Morris now believes what he has is worth a whole lot more than what was originally on the table! And that's just the tip of the iceberg. It's one thing to own the physical 16mm copies of these episodes but getting the legal rights to broadcast/release them is an ongoing battle. So until negotiations are complete, and that really could be ages, we won't see anymore of those missing episodes. They are certainly not in the hands of the BBC, as yet anyway. The negotiations surrounding Marco Polo could really be completed at anytime, and I suspect all parties genuinely did believe they would've been finalised by now. I don't believe that Philip Morris and the T.I.E.A. are simply hoarding episodes (certain people have been very vocal in accusing this), and I have nothing but praise for their work. If this all pans out then I will never be able to say thank you enough for giving me the chance to watch episodes of Doctor Who I honestly thought I'd never see in my lifetime. It's important to remember that the T.I.E.A. 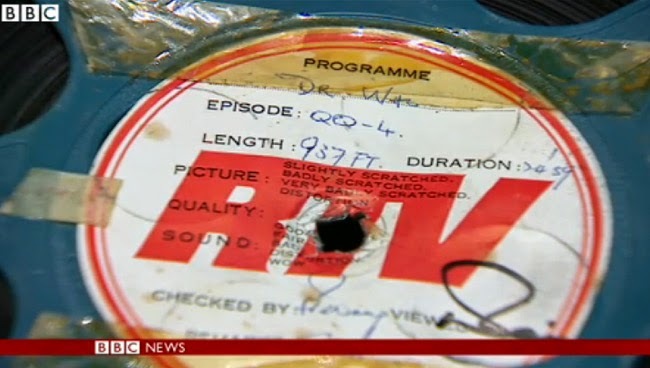 have a huge amount of recovered film canisters to sift through (I've heard reports of a minimum of 55,000) and then (potentially) restore, with the Doctor Who ones just being a small percentage of the film discovered in Africa. They are only going to work on a maximum of a few stories at a time, we won't ever see a massive iTunes release of 90+ episodes! One or two stories at a time sporadically is the likely scenario, because simply put, these things take time. I suspect the T.I.E.A. will continue to fund restoration work on the other episodes not mentioned above, as it will only enhance the value of these stories and get them to a level ready for release. I've been told that, so far, 2 episodes are so badly deteriorated that they are beyond restoration work. Along with the 1 undiscovered episode, that still currently leaves up to 94 possible episodes that I truly believe will one day make it into our hands. Over the last 6 days we have been presenting articles about many of these stories, including Marco Polo, The Daleks' Master Plan, The Savages, The Highlanders, The Abominable Snowman, The Macra Terror, Fury From The Deep and the missing episode 4 of The Tenth Planet. We've also taken a look back at the two found Troughton adventures that were released last year, The Enemy Of The World and The Web Of Fear, and explored the timeline of the destruction of Doctor Who episodes. Get all of our Doctor Who news and features first by following us on Twitter & Facebook.